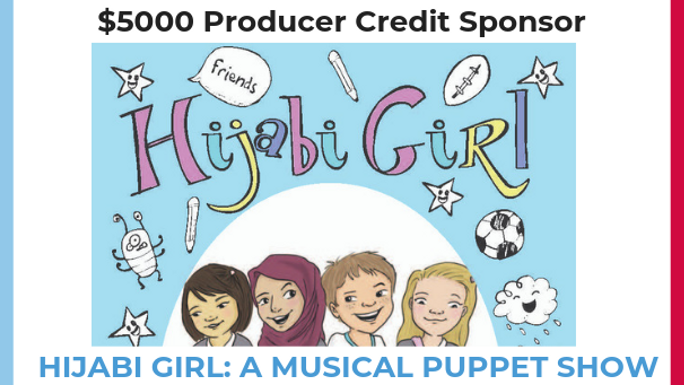 Hijabi Girl is a children's book for ages 7-9 that Larrikin Puppets will transform into a musical theatre performance featuring puppets. Co-authored by prolific Australian author Hazel Edwards OAM and children's librarian Ozge Alkan, and illustrated by Serena Geddes, pictured below, Hijabi Girl is a refreshing look at the diverse mix of cultures within most Australian schools. With themes around diversity, identity, anti-bullying and creative problem solving that align with Australia's national school curriculum, Hijabi Girl is a celebration of multicultural Australia, and a statement about acceptance and coping successfully with being different. 8 year old Melek always finds answers. Some are under her super hijab. For others she needs the help of newcomer Tien (who draws fantastic worlds as an escape), dress-ups-guru Lily and even soccer-mad Zac (who NEVER agrees with her). Melek wants to start her own Aussie Rules girls' football team. While Larrikin Puppets is a thriving, sustainable puppetry business, most of our puppet shows cater for children aged 6 and under and their families, delivering child development outcomes through talking, playing, singing, dancing and interacting with zany monsters and fun animal puppets. Creating a puppet show for an older children's audience based on a book full of cultural sensitivities requires concerted research and development: new puppet builds, custom stage sets, converted scripts and original songs. While we are happy to invest our time into developing the creative project (e.g. script development, songwriting, rehearsing), as we are neither puppet builders nor set designers, we need funding to support the creation of the puppets and the set, including materials. We - Principal Puppeteer Brett Hansen and Artistic Director Elissa Jenkins - are honoured to have been entrusted by the authors of this book to bring these children's voices to life, transforming the written word into a musical puppet show that will shine a spotlight on much-needed, multicultural themes around diversity, identity, anti-bullying and creative problem solving to children across Australia. This is us actively 'showing up' in supporting Muslim Australians and we are seeking your financial support in a gesture of solidarity to 'show up' too. Elissa herself is 'Multicultural Australia'. As a first generation Australian of Italian and British descent, she's enthusiastic about ensuring each new wave of migrants and refugees is welcomed into Australia in the same way her parents and grandparents were, but with less challenges rather than more. 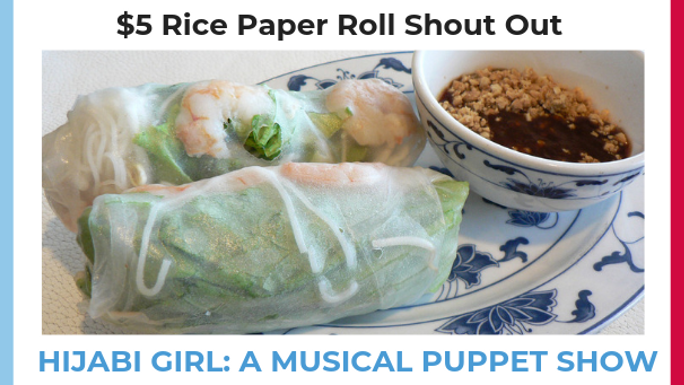 Elissa believes food is a great equaliser - and that's the passion behind creating a rice paper roll puppet and a kebab puppet. With age relevant puppets, music and songs for 7-9 year olds, Larrikin Puppets will transform the Hijabi Girl storybook into a visual extravaganza using 21 spectacular human puppets, fish puppets, pencil puppets and food puppets in the style of The Muppets & Fraggle Rock as well as Larrikin Puppets' first foray into black light (UV) puppetry. Any funds raised over $8000 will help support our work as performance artists in script development, songwriting, rehearsing and public promotions. Any funds raised over $20,000 will help contribute to a state or national tour depending on the amount raised. While all proceeds of this Chuffed campaign will be used to create and produce Hijabi Girl: A Musical Puppet Show, 50% of every ticket sold to our launch show will go to Democracy In Colour. While we intend to tour this show nationally at schools, the first performance - should we achieve the $8000 goal - will be a public performance at a theatre in South-East Queensland. One of the major perks will be a ticket to this public event. Other super cool rewards available. For the price of a rice paper roll, we'll reward you with a shout-out on social media. 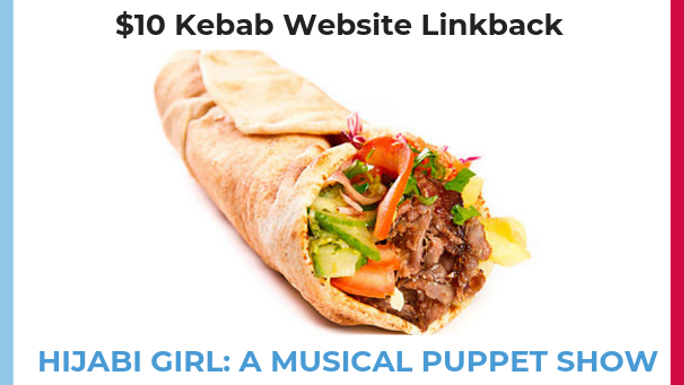 For the price of a kebab, we'll reward you with a shout-out on social media and a supporter listing on Larrikin Puppets' website with a link back to your website (if you have one). For a $30 donation, should we achieve our $8000 goal, we'll reward you with a ticket to our South-East Queensland launch live show performance of 'Hijabi Girl: A Puppet Show' PLUS a shout-out on social media PLUS a supporter listing on Larrikin Puppets' website with a link back to your website (if you have one). N.B. Travel to venue not included. N.B. Should we miss our goal of $8000, we will use the funds to build as many Hijabi Girl puppets as possible! 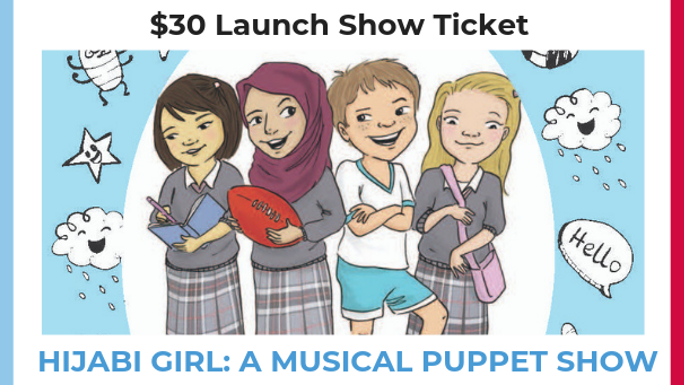 For a $120 donation, should we achieve our $8000 goal, we'll reward you with a family ticket (2 adults, up to 3 children) to our South-East Queensland launch live show performance of 'Hijabi Girl: A Puppet Show' PLUS a shout-out on social media PLUS a supporter listing on Larrikin Puppets' website with a link back to your website (if you have one). N.B. Travel to venue not included. N.B. Should we miss our goal of $8000, we will use the funds to build as many Hijabi Girl puppets as possible! 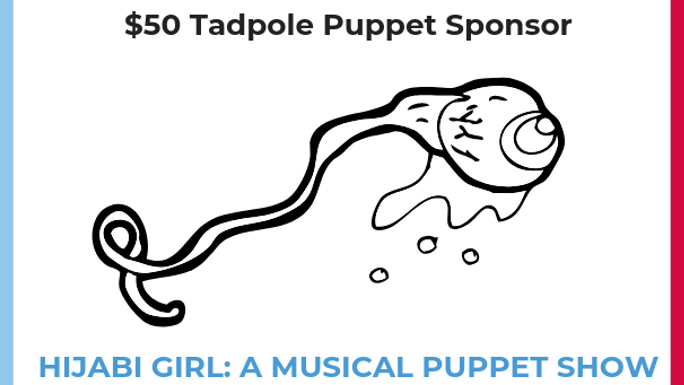 Sponsor a tadpole puppet to receive a sponsor credit in our show program PLUS a shout-out on social media PLUS a sponsor listing on Larrikin Puppets' website with a link back to your website (if you have one). Only 20 of these perks available! 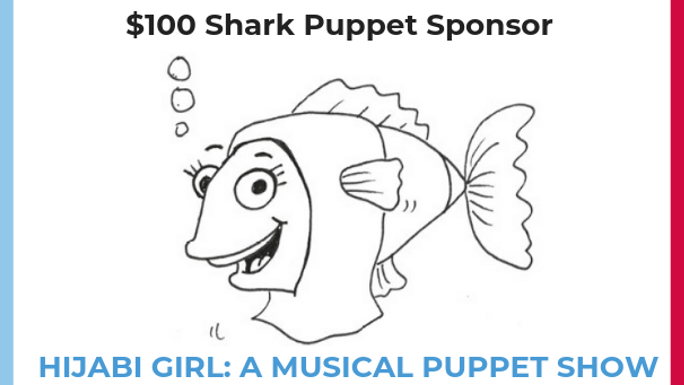 Sponsor a shark puppet to receive a sponsor credit in our show program PLUS a puppet sponsor shout-out on social media PLUS a puppet sponsor listing on Larrikin Puppets' website with a link back to your website (if you have one). Only 10 of these perks available! 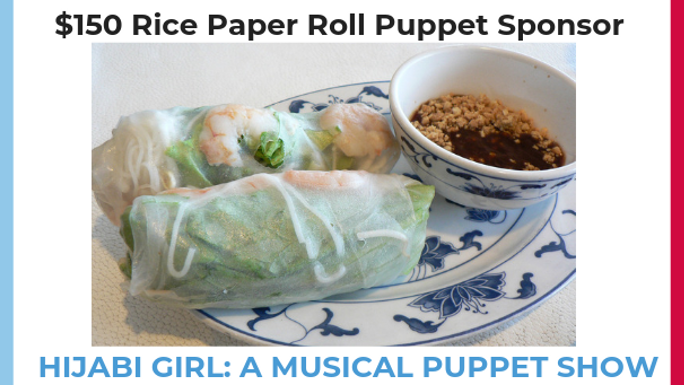 Sponsor a rice paper roll puppet to receive a sponsor credit in our show program PLUS a puppet sponsor shout-out on social media PLUS a puppet sponsor listing on Larrikin Puppets' website with a link back to your website (if you have one). Only 6 of these perks available! 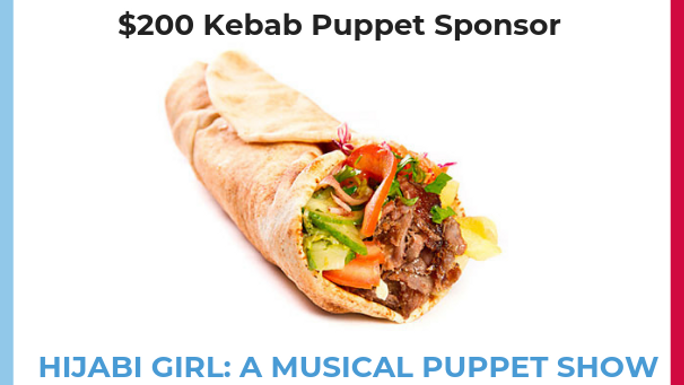 Sponsor a kebab puppet to receive a sponsor credit in our show program PLUS a puppet sponsor shout-out on social media PLUS a puppet sponsor listing on Larrikin Puppets' website with a link back to your website (if you have one). Only 4 of these perks available! 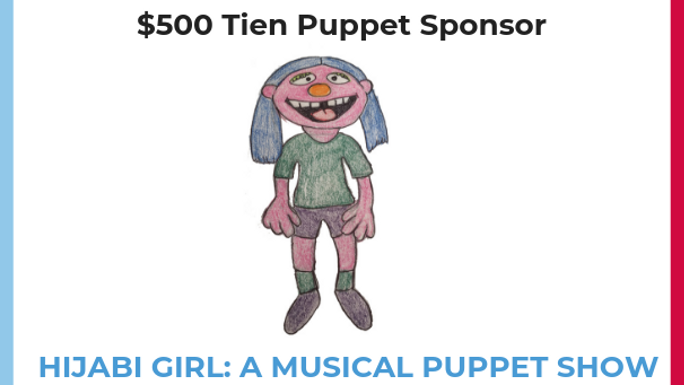 Sponsor a Tien puppet to receive a sponsor credit in our show program PLUS a puppet sponsor shout-out on social media PLUS a puppet sponsor listing on Larrikin Puppets' website with a link back to your website (if you have one). Only 2 of these perks available! 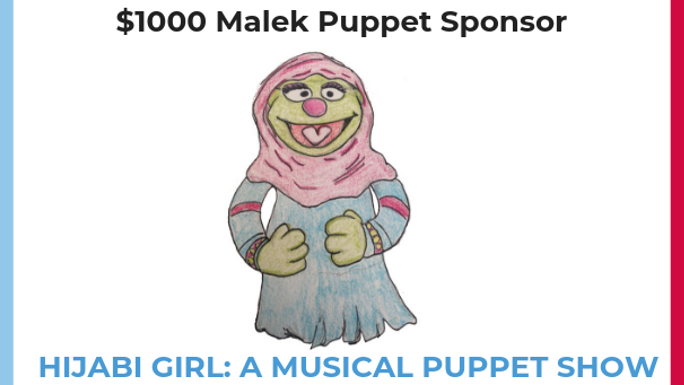 Sponsor a Malek puppet to receive a sponsor credit in our show program PLUS a puppet sponsor shout-out on social media PLUS a puppet sponsor listing on Larrikin Puppets' website with a link back to your website (if you have one). Only 1 of these perk available! As Hijabi Girl Producer, you will receive a producer credit on all publicity materials including our show program PLUS a producer shout-out on social media PLUS a producer listing on Larrikin Puppets' website with a link back to your website (if you have one). 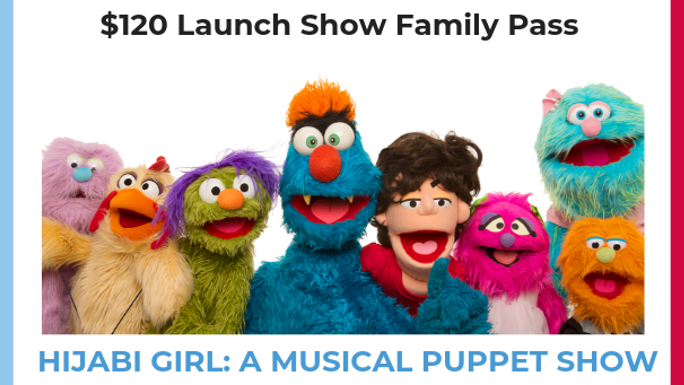 We'll also reward you with a family ticket (2 adults, up to 3 children) to our South-East Queensland launch live show performance of 'Hijabi Girl: A Puppet Show'. N.B. Travel to venue not included. N.B. Should we miss our goal of $8000, we will use the funds to build as many Hijabi Girl puppets as possible!